So which Yugioh deck is going to eat all my money? So I mentioned at some point early this morning that I was going to make a future plans post. Most recently I’ve come to an impasse with the games I treasure the most, Magic the Gathering and Yugioh. My primary goal with each game has recently changed. 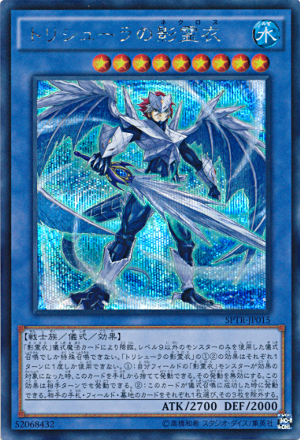 Originally, my only goal in Yugioh was make decks based on characters from the anime, whereas with Magic my only goal was only to do well in draft. However, now I seriously want to give playing both games competitively a shot. As dumb as it sounds I’ve reached near completion in both of my prior goals. 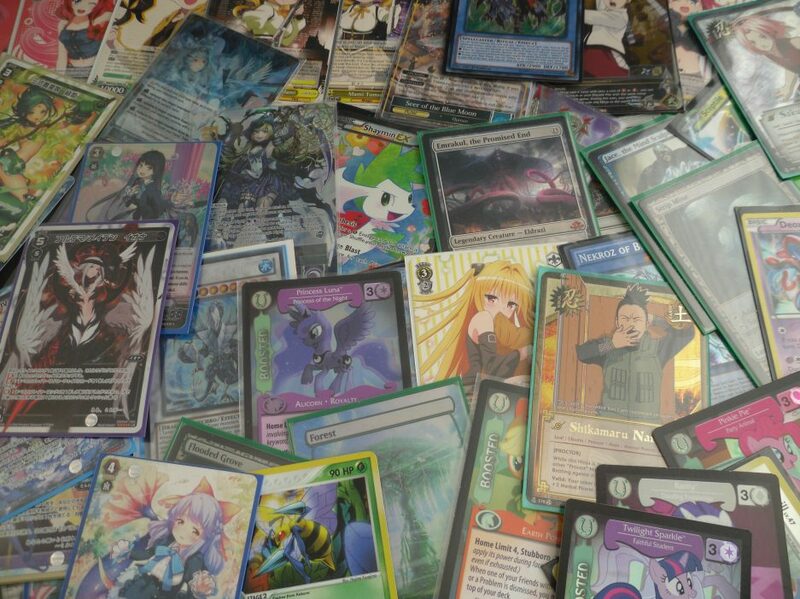 I cannot wait to discuss and analyze the 60+ Yugioh decks I’ve built already on this blog. Furthermore, repeated drafting has allowed me to meet many amazing magic players who have ignited a desire for me to make a competitive deck for their formats. Similar to Yugioh, I’ll also discuss over time the evolution of my decks for Magic (granted my Magic decks were always based on the creatures I liked the most, see Minotaur and Gorgon tribal). I’ll probably try to do a daily discussion once (if) I get into a set schedule. Now anyone slightly rational would say to pick one game over the other, but sadly that just wouldn’t satisfy me. I love both of these games very deeply and want to try harder to get better at both. And yes I will talk about other card games on this blog at some point, but I can’t help the fact that I play Magic and Yugioh more than the other games. So without further ado let’s go into the potential plans. I’ll post someday (likely soon) about my incredible disdain for the current “big three” meta in Yugioh that replaced the Summer 2014 H.A.T. meta. What was once a very diverse format of 7+ top decks has shrunk down to 3-4. 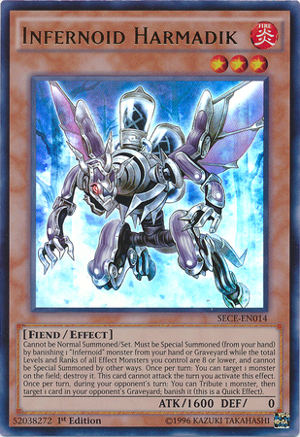 If you don’t play Burning Abyss, Shaddolls, Qliphorts or Satellarknights you essentially have to fight an uphill battle against each of these revolutionary decks. Despite this, I don’t want to build any of these decks mostly due to their cost, which is really the fault of a select few $20+ cards in every deck (Deneb, Dante, Disk, I’m looking at you). So how can I (we) play Yugioh competitively against the big 3 (4) without becoming them? At present, I’ve ordered a 2nd box of Secrets of Eternity (The Infernoid launch set). In addition, I’ve already Pre-Ordered 2 copies of the Hero Structure deck and a box of The Secret Forces (The Necloth launch set). Depending on my pulls from the second SECH box my Infernoid dreams may die then and there (unless their prices drop, which may happen if they don’t top an event soon). Heroes are the back-up plan of back-up plans. There’s very little I would need to build the deck other than a new set of sleeves and a few copies of the card A Hero Lives. Necloth is possibly the most out there dream, since while I love Rituals I’m certain that every piece of the deck will be incredibly expensive upon release. Ok, so that’s my current plans with Yugioh. 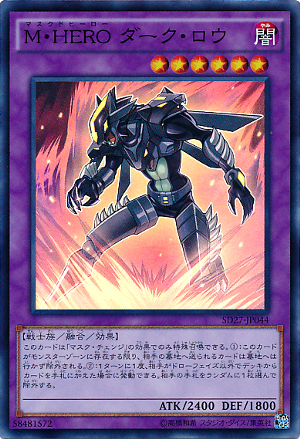 Essentially I’m going to try to build a meta deck from the new cards coming out. As my orders come in and I do more product openings what I’ll be playing will become more apparent. I’ll discuss my Magic the Gathering Plans in another post to also go up tonight! Next > What Magic the Gathering deck will eat all my money?